SNAFU! 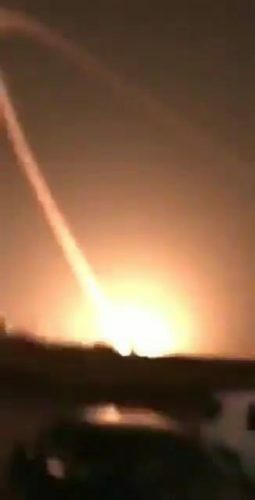 : Patriots failed in real world test against Houthi Ballistic Missiles...what does this mean for our missile defense concept???? Patriots failed in real world test against Houthi Ballistic Missiles...what does this mean for our missile defense concept???? Yemen’s Houthis faction fired a ballistic missile at Riyadh, Saudi Arabia and two Patriot missiles that were fired to intercept it failed spectacularly in mid-air. One exploded after launch while another went ballistic and hit the ground. I really don't know what to make of this. Many will automatically say that we sold them detuned models of the missiles and that the ones we have are more capable. With Saudi Arabia? I'm not so sure. My bet is that if they don't have contractors pressing the fire button, then they have them everywhere else. Additionally this was an attack on Riyadh. That ain't no ordinary Saudi city. That's symbolic and for the Patriots to fail in the defense there is doubly bad. The Houthis don't (I believe) have access to advanced missiles. I don't think the Iranians are giving them top of the line models either. So that means that a high quality US missile failed against a probably old rocket. How good are our missile defense concepts? Must we take out enemy ballistic missile launchers because we REALLY DON'T have a defense against them? Does this mean that we can be held hostage by N. Korea if they get even ONE nuclear weapon and the means to target Japan, S. Korea, Guam, Hawaii or the West Coast of the US? Our vaunted tech failed in a real world application. A serious assessment must be done to determine where we go from here.